This Friday, May 13th, will present the series finale of Smallville. It is the culmination of ten years and over 200 episodes of a show that originally was labeled “Dawson’s Creek with superpowers” but has now morphed into a stable in the mythology the Superman legacy and gained the respect of many loyal fans over the years—including me. As the show comes to an end, I started reflecting on the past ten years and what’s happened in the real world—and my world especially—since the show’s inception. I became a Christian one month after the show began (it first aired October, 2001), and in some ways, Smallville has been a part of my life since I started following Jesus. Over the years, I have increasingly looked for the Jesus references in the show—while trying not to look too deeply as it isn’t inherently Christian. During these ten years of watching Clark become Superman, I became a man. While the show started in the wake of 9/11, it concludes 2 weeks after the killing of Osama bin Laden (that one caught me off guard). It has also seen the emergence of comic book fans around the world gain some measure of respect. We have gone from being mocked and ridiculed about being adults following imaginary characters, so seeing the mythology of the comics come to the big screen: Christopher Nolan’s Batman Trilogy (Batman Begins, The Dark Knight–which made $1 Billion and The Dark Knight Rises in 2012), Green Lantern, Iron Man 1 & 2, Thor, Incredible Hulk, Superman Returns, The Avengers (2012), and Captain America—to name a few. It arguably is due in part to the loyal fans of Smallville. 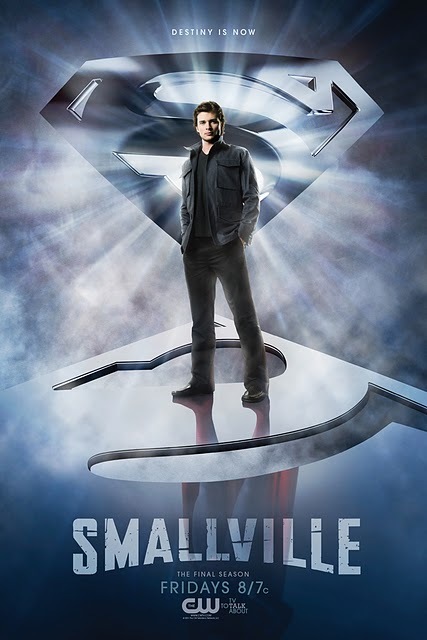 TV writers and critics demonstrate that while the CW hasn’t had a “winning” show, Smallville has remained on the air and gained international fame, proving the mythology of comics, the narrative story of these heroes has a loyal following. Smallville, honestly, only had 3 AMAZING episodes per season. The rest were average, but we tuned in every week. There was something compelling about this hero fans believe in, watching him get over failure, death of loved ones, relationships that were only for a reason, and numerous insecurities to become The Man of Steel. I just hope they let Tom Welling dawn the Superman suit…and for more than 30 seconds. Thanks for the memories Smallville! Click here for a Smallville Preview on YouTube! Previous What are we doing? I’ve been a fan from the beginning. I remember them talking about Smallville starting up at a time that people were being heroes and looking for heroes. I did not catch that the ending also happens to coincide with the death of Osama. I’m sad to see things end, but all things must. I do believe that Smallville was part of what sparked the inception and success of the comics to the big screen. It’s great.